Every year, durian lovers wait for durian season. During this period, they can get the sweetest and freshest durians straight from the plantations which they can enjoy eating at the market or take home. Commonly known in Southeast Asia as the “king of fruits”, durian is known for its spiky exterior and its pungent smell. While some detest the smell, even having durians banned to be transported in public vehicles, a whole lot simply adore the creamy rich texture and taste of the fruit. Durian lovers will swear that you have to get used to the smell and try eating durian for at least three times before you can truly appreciate it. With hundreds of durian stalls and restaurants that sell durian delicacies, we can say that Singaporeans love their durians. Although you can find durians almost any time of the year, it is only during the peak season that you will get the best-tasting ones. Customers expect that during this season, prices will be lower because of the abundance in the supply of durians. Read on to find out everything you need to know about durian season and the factors that affect the price changes. Typically, durian season occurs between the months of June and September, although there is a “minor season” during the months of December to February. During durian season, you will notice how the number of durians in fruit stalls all over Singapore double or triple. There are even temporary durian stalls that pop-up everywhere to sell durians to locals and tourists alike. During durian season Singapore, you can expect not only fresh durians to be found everywhere but also cooked or baked durian delicacies as well. Singaporeans wait for durian season because the prices will significantly drop because of the increase in supply. In addition, this season also yields the best-tasting bittersweet durians that you can ever find. According to durian lovers, even though you can buy durians from sellers all year round, it is only during these months where they truly taste the best. Durian Season in July 2018 – Once in 3 year event! In July 2018, many durian lovers would have noticed a huge drop in prices, with some Mao Shan Wang going at $12-14/kg, the lowest prices ever. The supply was one of the most abundant we as durian sellers have ever seen, and it was said to be a once in 3 year event. While we still do not know what the durian season would be like this 2019, we hope that it would be as abundant as before! What Can Affect the Prices of Durians? Once the dry season starts, mature durian trees will start to develop flower buds. The durian tree needs approximately three months for it to develop the fruit and fully ripen. They need just the right amount of water to fully develop great-tasting fruits. When the weather has been good, durian plantations can produce a steady number of durians that are delivered everywhere. However, there are times when the prices of durian can increase or decrease based on various factors. For one, having bad weather—whether too much rain or too little of it—can cause durian trees to produce a smaller amount of fruits. When the supply of durians is small, the prices will increase. Another factor that can affect the increase in durian prices is when there is an increase in demand. For example, plantations in Malaysia supply durians not just in Southeast Asian countries but in China as well. When more countries vie for the supply of durians and there is a limited supply, the prices will also be higher. Durian lovers in Singapore were shocked by the high prices of durians during the mid-year peak season. For Durian season 2017, the durian plantations in Malaysia experienced bad weather leading to lower yields of the fruit. In addition to this, countries like China and Hong Kong have also increased their interest in importing durians, leading to a smaller supply in Singapore. According to durian sellers, China is willing to pay a higher price for importing durians which is why they were able to take the first pick. 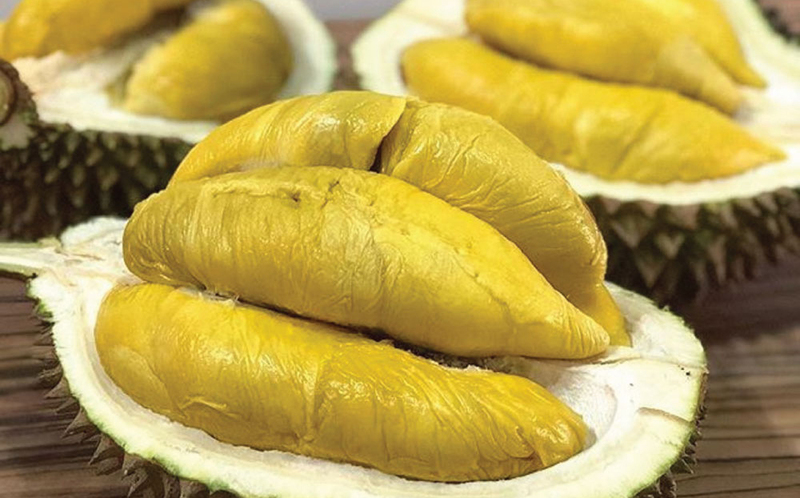 The Mao Shan Wang durian variety, which is the most expensive, had prices that started at $38 per kilogram which is a fifty percent increase from the usual price. In the past years, the durian season in Singapore lasted for months where locals can expect an abundant supply. However, during the durian season 2017, the amount of supply from the plantations became thinner. With the increase in demand from other countries, the availability of durian supply decreased. However, for the end-year durian season 2017, customers were able to get lower priced durians than in the middle of this year. The prices from June and July have decreased to as much as 30 percent so durian lovers were able to enjoy their share of durians. The $38 per kilo Mao Shan Wang had decreased its price to an average of$20 by the end of the year. Will Durian Prices increase in the future? Durian AT $128/kg?? It is expected that durian prices will continue to increase in the future, with China currently in talks with Malaysia to open up export to China. The average Mao Shan Wang price in China is currently going at $128 per kg up to $160 per kg! The amount of premium durian plantations in Malaysia is also limited, so if the talks go through and Malaysia starts exporting in bulk to China, durian lovers might be in for quite a shock increase in prices. Currently, with exports of Malaysian durians to China not allowed, only Mao Shan Wang shipped illegally into China are sold. When is Durian Season 2019? For durian season 2019, durian lovers can expect that the supply from the last months of 2018 can trickle over to the first months of 2019. Want to have high-quality durians delivered to you for durian season 2019? Durian Delivery is here to bring your durians to you wherever you are in Singapore. We ensure that your orders are collected the day before and deliver your choice of durians to you the following day. Since we uphold the guarantee that our durians are freshly plucked to satisfy the taste buds of our customers, we deliver durians within six to twelve hours. You can choose from different durian varieties from our online store including XO D24, Red Prawn, Mao Shan Wang, Royal Old Tree MSW, and D101. What are you waiting for? Ensure that you will get only the best and highest quality durians by getting them from Durian Delivery. Whether it is durian season 2019 or any time of the year, we will bring durians to you wherever you are! Sure 🙂 Season should be coming in mid-late May! I need to get some MSW by tonight. Anyone could help me?